Coal bed methane (CBM) has come into the spotlight of government and the energy industry as a source of low-cost, clean methane—the primary constituent of natural gas. Unlike natural gas, it does not contain other hydrocarbons and is relatively cheap to process. CBM is formed at the interface of water and coal, under natural geological pressure. The gas is trapped in the high-surface area of the coal plate and is only released when the hydraulic pressure is relieved by removing the water from the formation. Very often, this ‘produced’ water contains excessive levels of sodium bicarbonate that make it unsuitable for direct discharge in the estuaries for irrigation or livestock. Calcium and magnesium levels are typically low, but some areas may have high sulfur compounds or other objectionable minerals (such as barium). 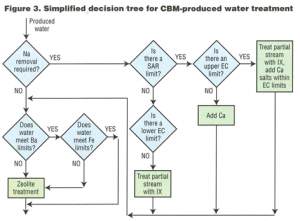 Unlike oil field produced water, CBM water requires only minimum pretreatment, thus possibly presenting a solution both for the CBM industry and for farmers and ranchers in neighboring areas where it may actually help solve drought problems. 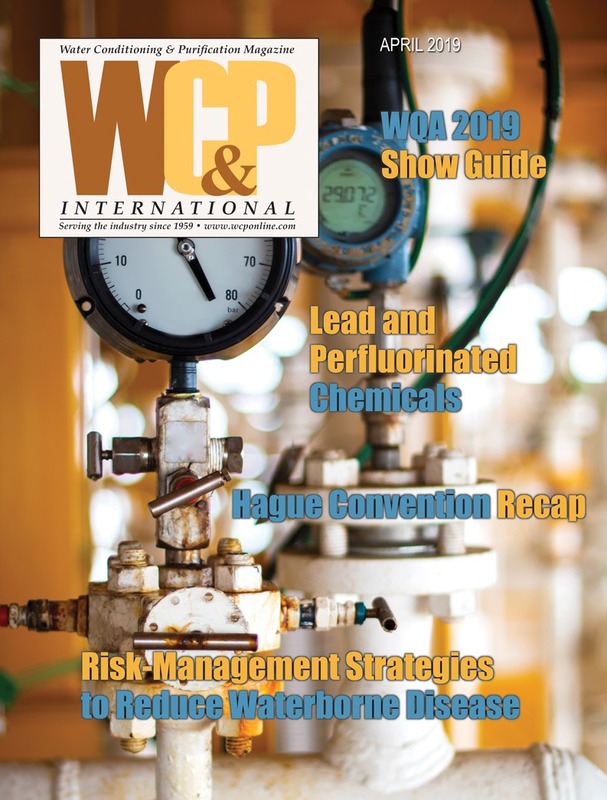 This article first explains the effects of such water on plants and habitat, then sheds some light on the factors that are most important, in order of priority, to guide treatment professionals accordingly. 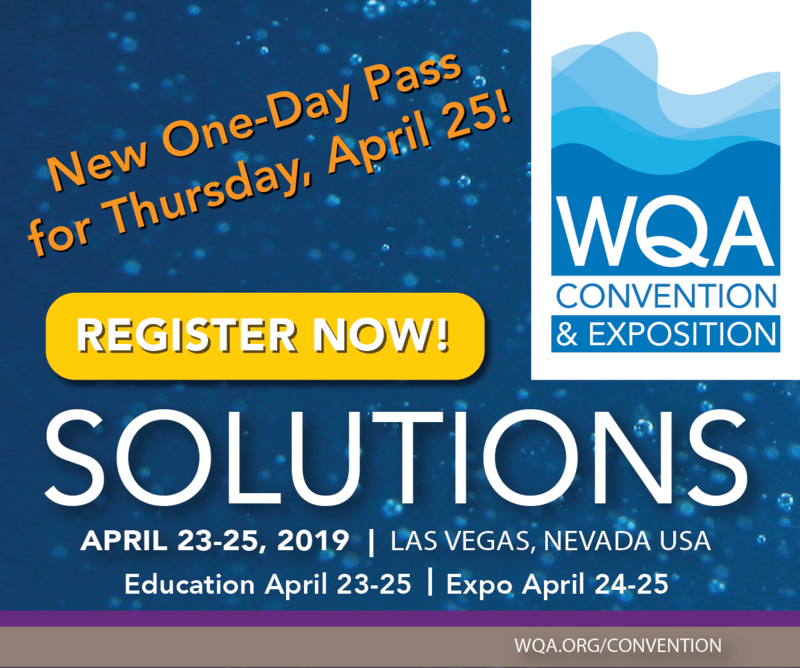 Finally, it will focus on the produced water from CBM production in Wyoming and take a candid look at treatment options prior to discharge to maintain harmony between the need for economic growth and protection of the environment and local habitat. A distinction is to be made between sodicity (sodium levels) and salinity. 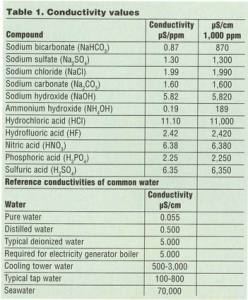 Salinity includes all dissolved ionic species, including sodium. When trying to balance the various factors that affect the environment as well as habitats in general, the following points must be kept in mind. Impact on plant growth. 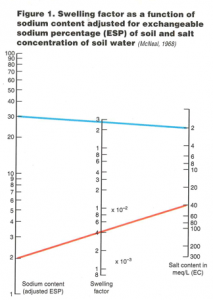 Total salinity has a negative impact on the ability of the plant roots to absorb water by increasing the osmotic pressure the roots must overcome. Impact on soil structure. Soils are affected by waterborne salinity in a different way. The sodium portion of the salinity can be harmful unless balanced. Impact on wildlife, habitat. This is a local factor and must be determined on an individual project basis. Plants absorb water by a process that works on an osmotic pressure (salt) concentration differential between the water available to the roots and the water content within the roots, separated by a semi-permeable skin. Saline water will reduce the ability of the plant to absorb water. Generally speaking, plants require porous soils for water transport as well as root penetration. Calcium and magnesium salts help soils flocculate in porous states, allowing proper aeration, root penetration (and growth) and root access to water; however, an upper limit is established due to the osmotic pressure discussed above. The sodium portion of the water salinity has the opposite effect of calcium/magnesium on soils. The sodium ion, being monovalent and strongly ionic, interferes with the weak, primary ionic forces that hold the clay particles together, causing expansion. This expansion causes an imbalance in the porosity distribution of the soil. The phenomenon is termed ‘dispersion’ in many literature references. Dispersion naturally results in the pores of the soil getting plugged, reducing the overall water permeability of the soil. If the cycle is repeated, especially in areas where flood irrigation is practiced, the soil keeps reforming to become an almost cement-like cake. Contrary to what would seem to be obvious, it is wrong to assume that lower salinity is always better for irrigation. If the soil salinity is high, compared to the irrigation/rain water, dispersion and swelling of the clay particles will occur. To quantify these relationships, a ratio of salinity to sodicity is used. 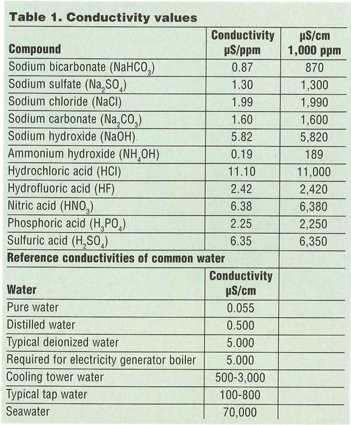 Salinity is typically expressed in terms of electrical conductivity in milli- or micro-Siemens per cm, while sodicity is expressed as a unitless number, termed sodium adsorption ratio (SAR). 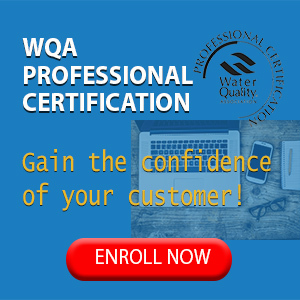 It is important to understand these two concepts to determine the effects of the quality of irrigation water on soils and plant growth. Electrical conductivity is defined as the ability of a substance to conduct current. This parameter allows us to estimate the approximate quantity of total dissolved salts (TDS) in the water. 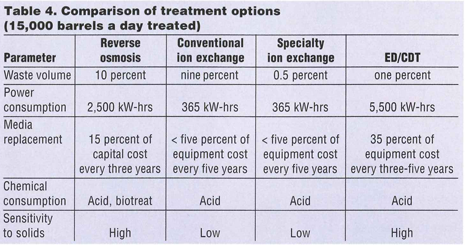 Though convenient conversion factors are frequently used for estimation, it should be noted that final design calculations must take into account the fact that conductivity measurements will vary for different solutions. As CaCO3: Multiply EC (µS/cm) by 0.67 to get TDS. As NaCl: Multiply EC (µS/cm) by 0.50 to get TDS. As NaHCO3: Multiply EC (µS/cm) by 0.87 to get TDS. Where meq/L refer to milligram equivalents of the element per liter. The definition of gram equivalents is: “The number of parts by weight of it which combine with or are otherwise chemically equivalent to 8.000 parts by weight of oxygen.” In practice, the values are typically derived by the atomic weight divided by the valence the element assumes in a given compound. 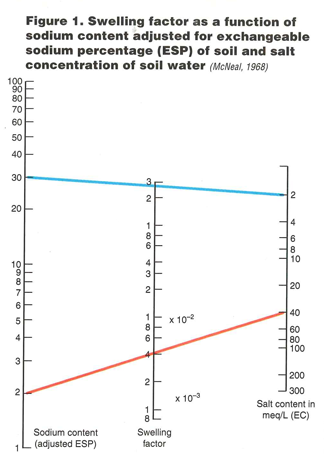 The combination effect of salinity and sodicity on soils is measured by the swelling factor, which is the amount a soil is likely to swell with different combinations of salinity and sodicity. Hanson, et al. 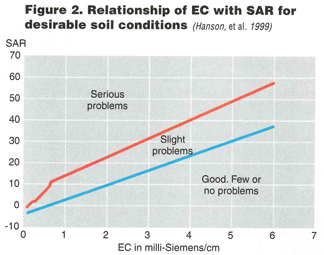 showed another approach to judge the effects of salinity (EC) and sodicity (SAR) on soil physical properties. 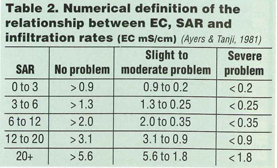 Figure 3 charts the relationship between EC and SAR with regard to infiltration rates. Factors such as climate, soil type, crop/plant species and management practices also need to be accounted for when determining acceptable levels of salinity and sodicity of irrigation water. Rainfall also plays an important role in the relationship between salinity and sodicity and soil physical properties. Intense rainfall can flush salts beneath the root zone, but often cannot significantly reduce sodium, which is bound to the soil. Soil texture is also important with respect to the effects of salinity and sodicity. It helps determine how much water will be able to pass through the soil, how much water the soil can store and the ability of sodium to bind to the soil. Clay soils typically hold more water and are slower to drain than coarse, textured soils. Smaller particles can pack closely together, block the spaces between particles and prevent water from passing through. Sand particles are larger and therefore have larger pore spaces for water to pass through. Under normal irrigation practices, sandy soils will naturally be able to flush more water through the root zone than clay soils. The end result is that sandy soils can withstand higher salinity irrigation water because more dissolved salts will be removed from the root zone by leaching during rains or flood irrigation. As can be seen from the chemical formulae, each of these clays has a different lattice structure, directly affecting the ability of sodium to bind to their particles. Montmorillonite clays are most affected by ion substitution; kaolinite is least affected. This same pattern is also true for the swelling factor: montmorillonites are the most prone to swelling and dispersion, whereas kaolinites are the least likely to do so. In the case of CBM and other produced water, it becomes very important to know the water salinity of the rivers and other water bodies to minimize the impact of water addition to them. 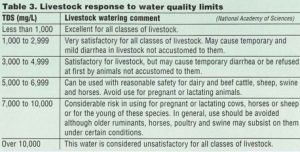 Again, contrary to conventional thinking, if a CBM-produced water is made ‘too clean’ and dumped into a river where natural minerals have kept the salinity levels high, the wild life and aquatic life would be adversely affected by a reduction in salinity. Treatment, therefore, is designed to keep this balance. In landlocked states like Wyoming, CBM mining has historically resulted in large evaporative ponds, providing drinking water to livestock. Evaporation can result in a long-term rise in TDS and cause harm to the animals. 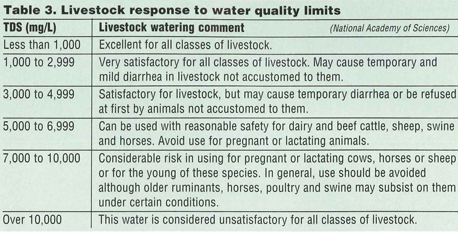 Produced water is high in sodium and low in calcium/magnesium. This means very high SAR values. Due to the presence of bicarbonate, reducing sodium to meet SAR of one-to-six reduces TDS to very low levels. Some wildlife in the rivers would be threatened if the water salinity is reduced. Calcium/magnesium addition with partial removal of sodium results in a balanced SAR effluent. However, calcium/magnesium can only be added to levels of maximum EC only. 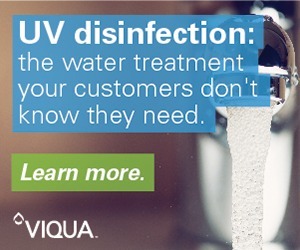 Most treatment solutions generate a waste stream with high concentrations of the salts removed. 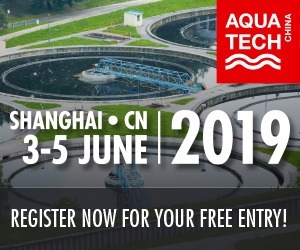 Since there is no high-salinity body of water to discharge this waste stream to, the volume of this waste therefore becomes the limiting factor in establishing the economic and environmental viability of the treatment project. While many claims by various CBM-produced water treatment technologies have been made to date, the industry has found ion exchange to be the most practical. 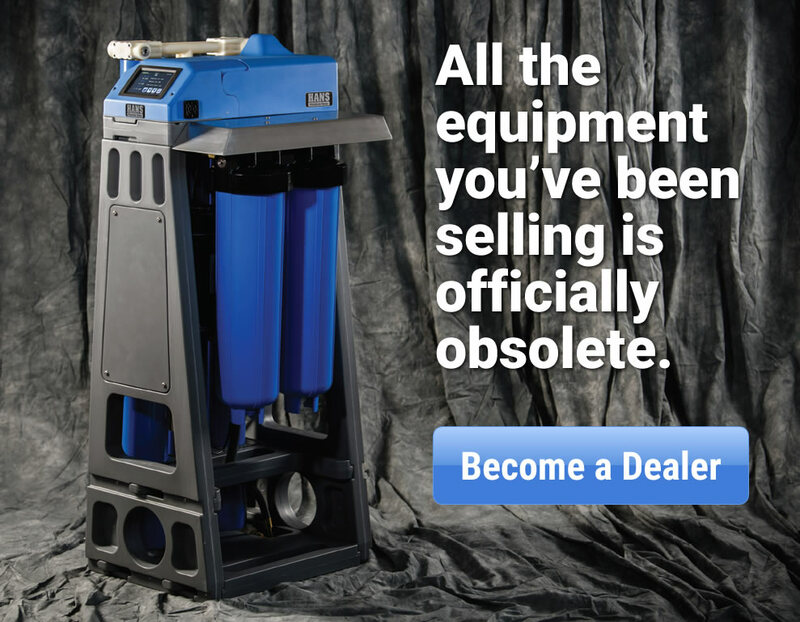 Specialty ion exchange processes which focus on reducing regeneration waste immediately become worth exploring for the CBM operator. 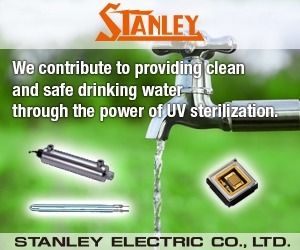 The cost of treating water has a direct impact on the project viability. Thus with a single step, the TDS can be reduced effectively. Unfortunately, such resins expand almost 50-80 percent by the time their capacity is exhausted. 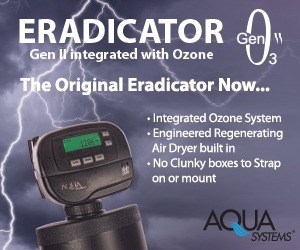 A smart ion exchange system would therefore use these resins and deal with the resin expansion and the kinetic rate limiting steps associated therewith. 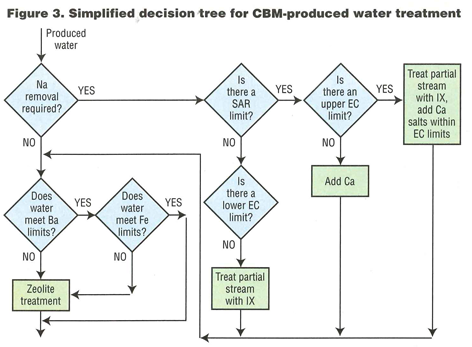 A typical decision process for a CBM operator could take the path illustrated in Figure 3. 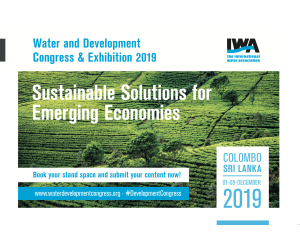 Given the fact that CBM-produced water has to be ‘custom-designed’ for discharge, one can easily deduce that this water can also be treated to suit farming and livestock drinking water requirements. Technically, it could be sent to the city water treatment reservoirs after treatment, but public acceptance may be a bit difficult. Vast areas of land can be cultivated in Wyoming for various crops, not the least of which could be energy crops which can be biodegraded in anaerobic plants to produce even more methane to combine with the CBM gas for revenues. The infrastructure to collect and compress small volumes of gas already exists in Wyoming and could be used to blend ‘biogas’ into the pipelines. 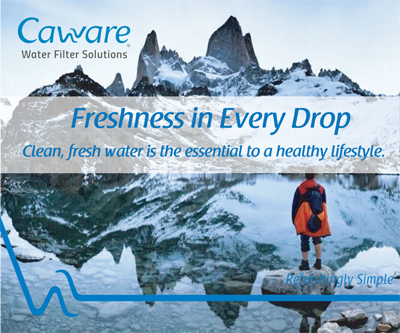 The produced water can be seen as a blessing, rather than a problem. 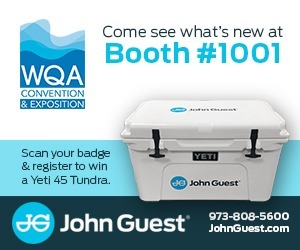 Juzer Jangbarwala is Chief Technology Officer/Director/Chairman of the Board of RG Global Inc. (OTCBB: RGBL), Santa Margarita, Calif. In 1989, Jangbarwala was founder and CEO of Hydromatix, Inc., a company that was acquired by the BOC Group in 2002. 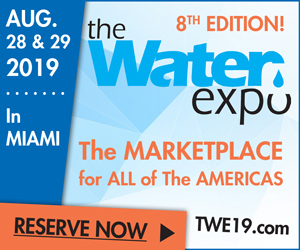 In 2002, he founded and continues as CEO of Catalyx Inc., a water treatment and alternative energy technology incubator. In 2004, Catalyx spun out Energix Research, Inc., as a developer of low-cost hydrogen generators; he serves as CEO. In 2006, Catalyx spun off Catalyx Fluid Solutions with key water treatment technologies, which were subsequently licensed to RG Global; Jangbarwala serves as RG’s CTO to develop innovative water treatment technologies from the CFS portfolio of patents. Jangbarwala has a BS in chemical engineering from Lehigh University. He can be reached at juzer.jangbarwala@catalyxinc.com or via telephone at (714) 630-2124.